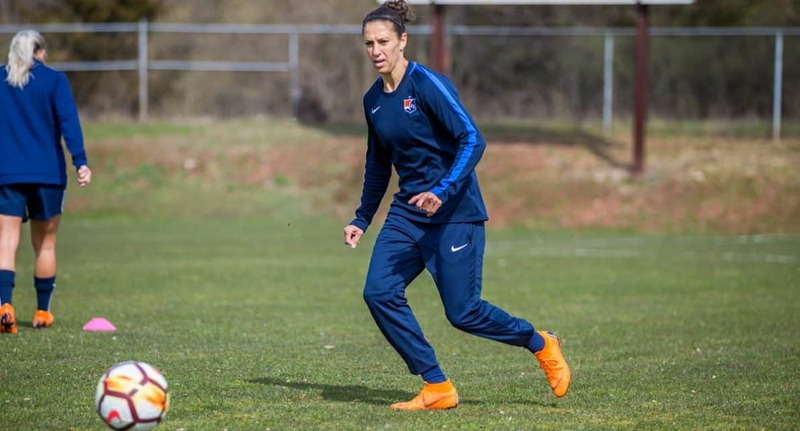 Sky Blue FC won’t go undefeated this season. Then again, no one expected the National Women’s Soccer League team to do so. 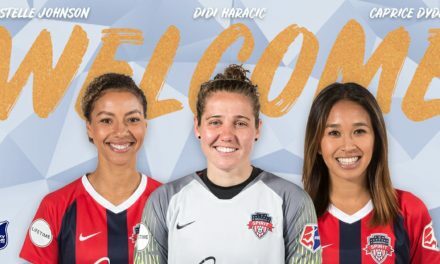 In fact, the New Jersey club continued its losing trend of last year, dropping a 2-0 decision to the Washington Spirit in the season opener for both teams Saturday night. Sky Blue finished last season with an all-time league worst mark of 1-17-6, defeating the Spirit in its final match of the season. On Saturday, Washington turned the tables as Sam Staab and Megan Crosson tallied in the second half to boost the hosts. 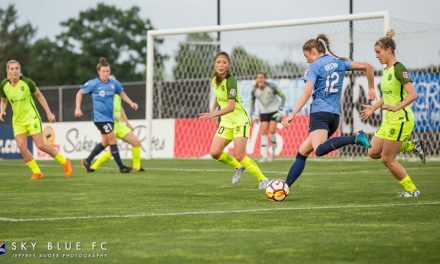 Sky Blue FC had its first big chance in the 11th minute as midfielder Nahomi Kawasumi carried the ball up the sideline and crossed it to Carli Lloyd, whose header pinged off the crossbar. Domi Richardson sent in a corner kick that bounced around in the box before being cleared off the line in the 31st minute. Goalkeeper Kailen Sheridan came up big in the start of the second half as she denied Cheyna Matthews in the 47th minute. Washington drew first blood after a corner kick that wasn’t cleared out of the box in the 59th minute. Staab, a rookie, was in the right place as the ball dropped to her feet and she sent the shot to the back of the net. 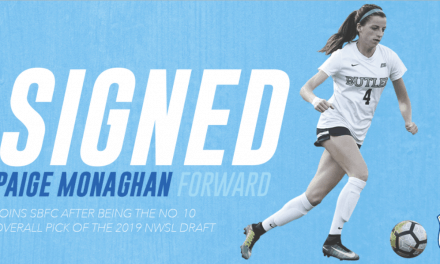 Rookies Julie James and Paige Monaghan made their professional debuts for Sky Blue FC. James put in a solid shift in the midfield and was subbed out by Monaghan in the 67th minute. Monaghan almost made an instant impact as she was slipped a ball in the box but Bledsoe ran out to deny her shot. Washington snuck in a goal late in stoppage time was coming to an end. U.S. international Mallory Pugh found the head of Crosson, who made a run in the middle. 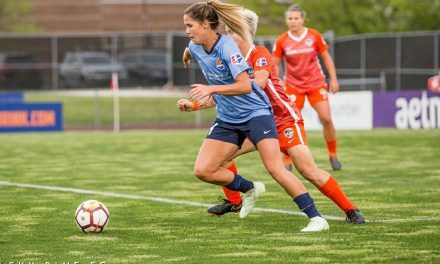 Sky Blue FC returns home to face the Houston Dash Saturday, April 20 at 6 p.m.